Just before the Christmas rush, HeyUGuys had the great pleasure of attending 2010’s final Alfred Dunhill BAFTA ‘A Life in Pictures’ which celebrated the sensational and enduring cinematic works of one of film history’s greatest figures, Martin Scorsese. The event was hosted by BAFTA at their lustrous Piccadilly headquarters where whiskey cocktails, champagne and movie-loving company flowed ever so freely. HeyUGuys arrived promptly in order to secure a prime seat and I was drawn like a moth to a flame to a chair which claimed to be ‘endowed by George Clooney’ – lucky chair. Broadcaster and critic Francine Stock took centre stage to introduce the eagerly anticipated film-maker and proved to be a most elegant presenter and succinct interviewer over the course of their comprehensive discussion. Scorsese made his entrance to rapturous applause which he humbly diminished with a gentle wave of his hand. When one considers he stands at a surprisingly sized 5ft3 and is pushing 70, I must admit even I wasn’t sufficiently prepared for Scorsese in the flesh. How looks can be deceiving. Scorsese possesses one of the most towering presences and characters I’ve ever witnessed. He is an incredibly funny and witty man, rapier sharp as well as wonderfully charming. The audience who were initially lulled into an adoring and respectful hush quickly became electrified by this unassuming man and his machine gun comedy. 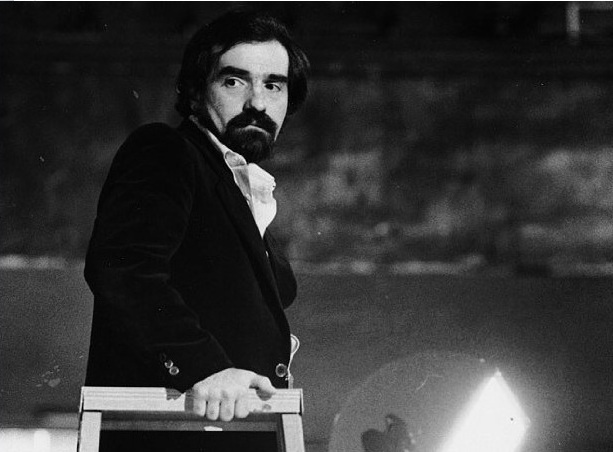 With an arsenal of international awards and nominations to show for it, Scorsese’s career has spread with remarkable endurance overthe last five decades and left an indelible mark on the art, technique and dynamic of film-making. When asked whether he remembers the first movie which made a true impression and evoked his passion for film Scorsese replied that it must have happened when he was 4 or 5 years old. Scorsese was born in 1942 to working-class Italian-American parents who were employed in the Garment District of New York. He spoke of how both were very protective of him in his youth because of his asthmatic ill-health and in the film-makers own words their job was to ensure he “didn’t run or laugh.” As compensation Scorsese was frequently taken to the New York picture houses and thus experienced the full force of cinema’s Golden Age from early childhood. The first movie to have the same profound effect upon Scorsese was the 1946 Western, Duel in the Sun which he described as a traumatic and disturbing experience. After a short-lived plan to pursue a seminary education, Scorsese started at the Film School of New York University where his love affair with film was nurtured and nourished during his major. 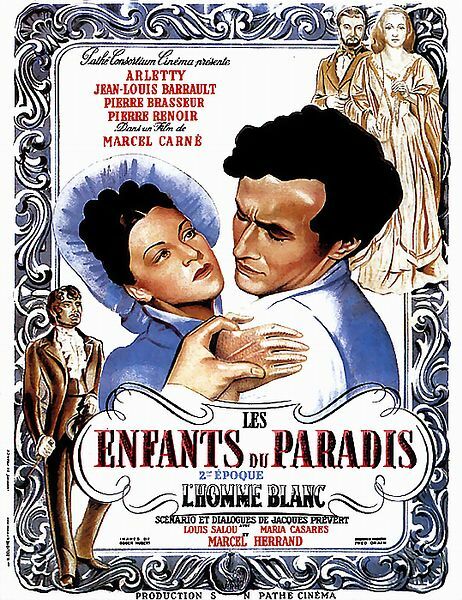 Here he discovered the influence of foreign films from Les Enfants du Paradis to his first experience of Japanese cinema, Ugetsu. The combined offerings of the late 50s from the Italian and French New Waves as well as New British Cinema weighed heavily upon his imagination whilst the techniques that had begun to emerge in New American Cinema were fuelling the idea that a studio wasn’t necessary to make a certain type of narrative film. The fledgling film-maker commented on his ignorance of the collapsing Hollywood system and the war between the studios and that looming and terrible enemy Television alongside his constant urge to see things in pictures and to design his own. He spoke of borrowing and begging favours in order to acquire the equipment and time so that he and his friends might make their own films too. Starting out as a student film-maker Scorsese described the process as a learning curve. To him film-making is a formula comprising of the outside influences and inspirations upon you pulled together through equipment, learning how to mount a picture on your own plus your own self-expression. NYU saw the birth of a number of award-winning short films for Scorsese, beginning with Vesuvius VI in 1959, a mini epic set in Ancient Rome and including the controversial short The Big Shave which depicts a young man who obsessively slides a razor across his face to the point where he slits his own throat. University is where Scorsese first began to make his connections and establish relationships with those influential people who would shape his film career, with editor Thelma Schoonmaker and the notorious Harvey Keitel amongst them. 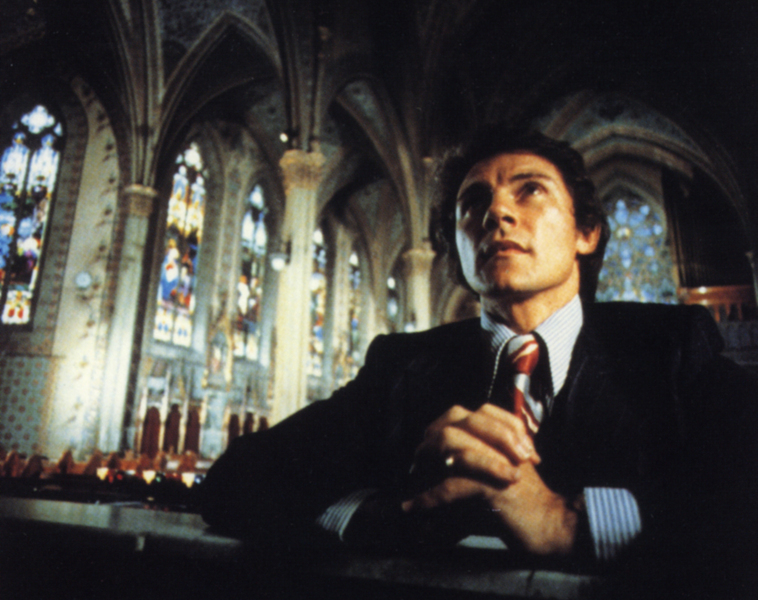 Along came the 1970s and Scorsese brought us Taxi Driver, The Last Waltz and what is considered to be his breakthrough picture, Mean Streets which succeeded in launching Robert De Niro and Harvey Keitel into infamy. Scorsese describes being a director as if it were a time trial and detailed the stress and limitations which are laid upon a film-maker before the camera even begins to roll like a game of cat and mouse. In fact the director likened the persuasion techniques and smooth-talking necessary to coerce almost any production team into one more day of filming to the charismatic, fast-paced chatter Johnny Boy uses to (De Niro) influence Charlie (Keitel) in Mean Streets. We could not help but giggle with him as he illuminated the hectic pace and ridiculous demands he has met behind the scenes during his earlier films as the order of priority became as follows: first you find a camera, then you call the actor and then if you’re lucky you find a place to shoot and that’s only if the actor still wants to perform! Scorsese has played an impressively versatile part in the last 50 years of cinema but not only as a prolific director, editor and producer of narrative cinema, he is also an award winning documentary-maker. BAFTA-nominated No Direction Home: Bob Dylan provides a perfect example of Scorsese’s creative flexibility as he applies aesthetic and form to musical narrative, music being an art form which he holds in the highest regard. 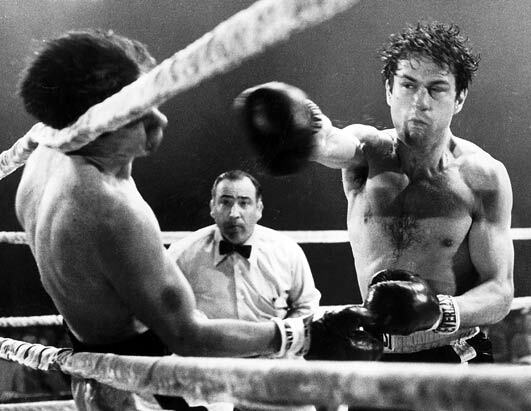 In 1980 Raging Bull charged the silver screen and was nominated for a host of Academy awards but as it turns out, Scorsese is not a fan of boxing at all, he greatly dislikes the sport. The ring in the film was stretched to two or three times the normal size to accommodate the fight sequences and Scorsese admitted that the only way he could approach it was through music. After 1982 everything changed in Hollywood and beyond but Scorsese adapted like he always does. And do it again he did, more than once. Goodfellas stormed the BAFTA awards in 1990 winning Best Film, Best Direction and Best Adapted Screenplay which paved the way for the spine-chilling thriller Cape Fear, another exhilarating crime drama Casino and the gritty historical spectacle Gangs of New York. Scorsese’s ability to draw from his surroundings and survive the relentless transformations of film, technology and reception must have something to do with his finger resting on the audience’s pulse. 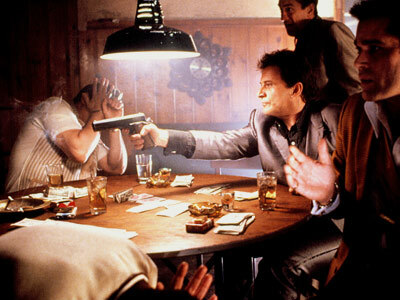 was based upon Joe Pesci’s own experiences which really does make the mind reel! Scorsese’s eye for durable talent and his and De Niro’s legendary and rewarding film relationship are mirrored by his modern big-budget collaborations with Leonardo DiCaprio who has starred in four of his feature films including The Departed which won Scorsese an Oscar for Best Director in 2006, the sumptuous Howard Hughes biopic The Aviator and the recently acclaimed Shutter Island where the director deftly depicts the violent layers between dream and reality. forms is something of a delight to witness for us at HeyUGuys. Many people presume the industry is filled with jaded and indifferent film-makers and they may be right but to see a pioneer such as Scorsese describe film-making in such vivid and beautiful terms and with a most unexpected sense of modesty and open-mindedness… Well, it doesn’t half make a film nerd feel good. I would like to offer BAFTA my gratitude for an evening of unparalleled stimulation and a special thank you to Alfred Dunhill for sponsoring the event. HeyUGuys wish Scorsese our greatest admiration and most eager anticipation for his upcoming projects this year and beyond. We’d wish him luck but as you can see, Scorsese simply sounds like an immortal.